The Large Training Provider of the Year Award recognises a registered training organisation that offers a broad range of training products and services and demonstrates excellence and high level performance in all aspects of vocational education and training. apply in the state or territory where the majority of the training is being delivered. The application must focus on the training delivered in that state or territory. 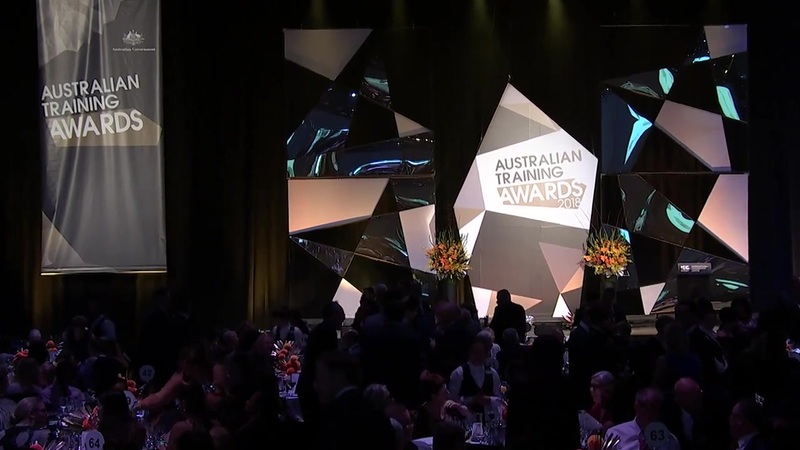 2019 state or territory winners of this category are nominated to enter a short-listing process for the Australian Training Awards. Note: To maintain the integrity of the Australian Training Awards, applicants to the 2019 Large Training Provider of the Year Award will be subject to quality assurance checks by the Australian Skills Quality Authority (ASQA), or by the applicable regulatory authority in Victoria and Western Australia. These checks will inform the selection process of applicants and finalists to this award category. This information will be considered and used for short listing and judging purposes. Please be aware that your responses to the criteria will be strengthened by the inclusion of measurable and verifiable indicators (including student outcome data, client satisfaction data and external validation data). The considerations listed under each criterion are provided to clarify what to include when writing against the criteria. How you undertake continuous improvement and apply quality controls within your organisation. How you ensure the sustainability of your operations, including your understanding of risk and risk management. How you encourage access to your VET products and services, and the success you have achieved in meeting the needs of equity groups. How your organisation recognises the well-being of staff as critical to business success. How you ensure your partnerships are reciprocal (i.e. where each partner brings resources to the partnership and shares in outputs from the partnership).